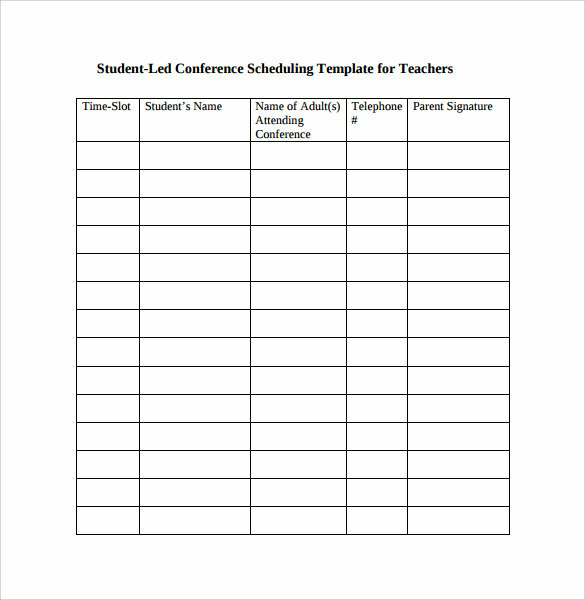 This template is for letting the staffs of an organization know about the schedules of the conferences that are to be held weekly. It provides some important data related to the last year. The template also provides all such information required for having a discussion during the conference. 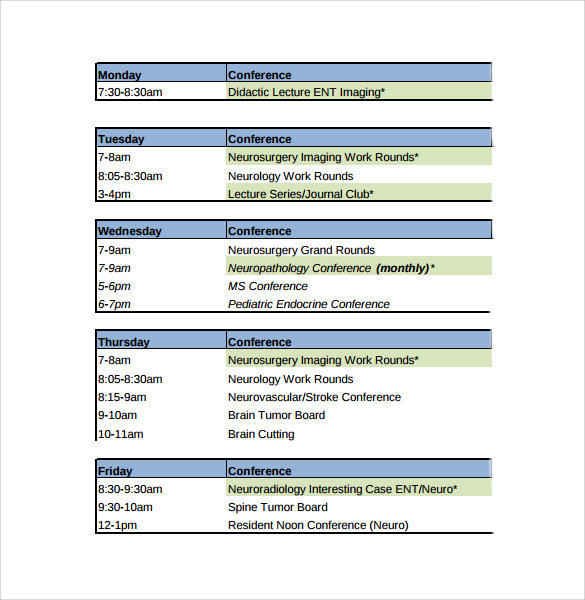 A conference schedule template provides the purpose of each meeting along with their respective timings in a tabular format. Important names such as the name of a company, is written in black fonts having bold face. Whereas the detailed time period are written in formal black fonts. This template has two columns. The heading of the columns are in black bold fonts. The first column has the timings written in it and the second column has the name of the topics that are to be discussed in the conference, along with the name of the speakers. This template is written on a white background. It consists of a table with name of the day written outside the table in black fonts having bold face. The table features three columns. It provides the time and location of holding the conference along with its purpose in brief. 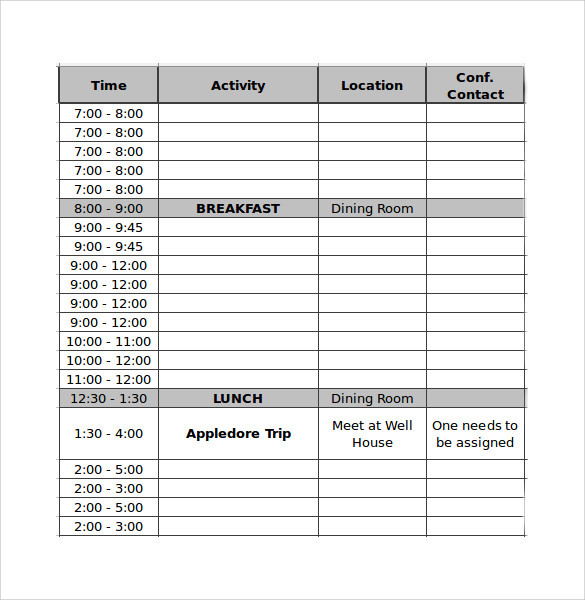 What Is A Conference Schedule Template? 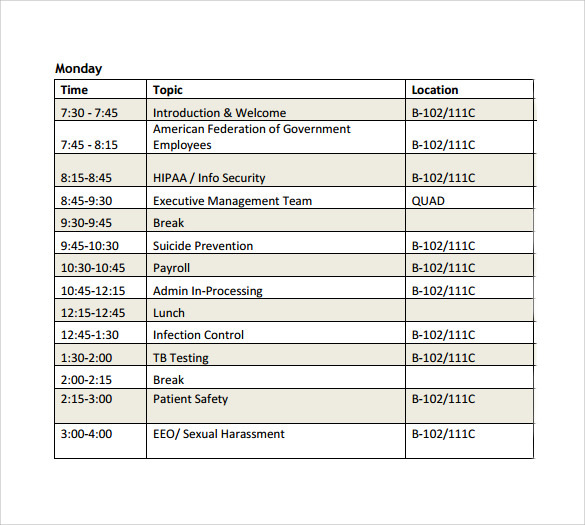 A conference schedule template provides all information that is related to the conference to be held. It is designed to give it a professional look. To make it look clear, the information is presented in a tabular format. Usually, black fonts are used and with bold face wherever applicable. It provides the time duration. It also provides some important statistical data that may be come into use in the conference. It also mentions the room numbers, where the conference is going to be held. The conference going to be held, may be among teachers or business professionals or administrative authorities of an institution. 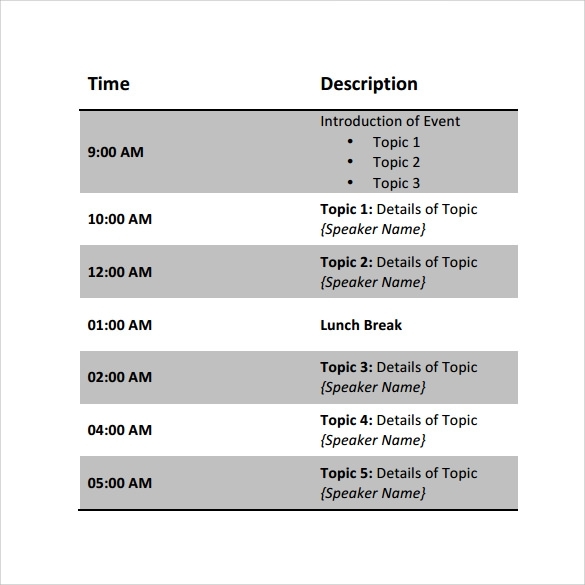 What Is The Importance Of A Conference Schedule Template? A conference is useful for sorting out the problems faced by an institution or a company. It might be for discussing various ways to organize an event. 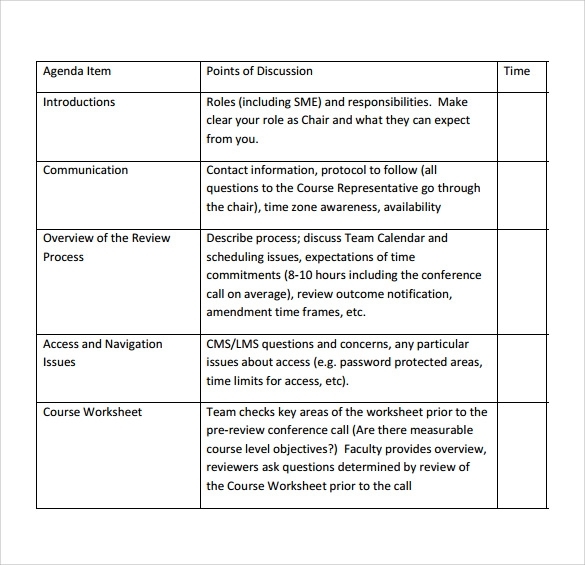 Thus a conference schedule template lays down the key points that are to be discussed in order to sort out the problems. Organizing time in an effective way helps professionals to grow business and leads one to a better future. So it also lays down the time duration for having discussions on different topics in the conference. A conference template thus clears all the doubts (related to purpose of holding a conference) that might be prevailing in the mind of the people participating in the conference. 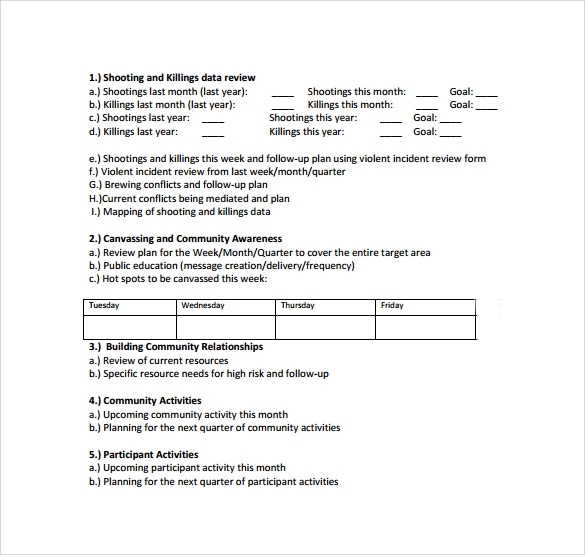 Thus this template also saves time.You can also see Monthly Work Schedule Templates. Who Uses Conference Schedule Templates? 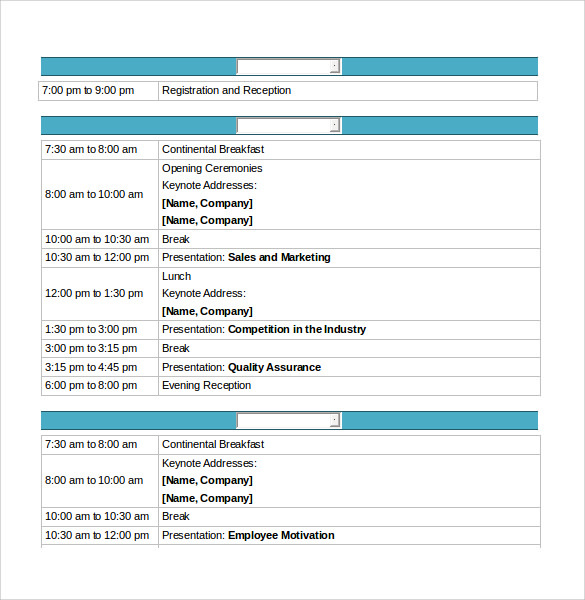 A conference schedule template can be used by business professionals. Such a template should mention the different topics, on which a discussion is needed to be done, along with the time duration. 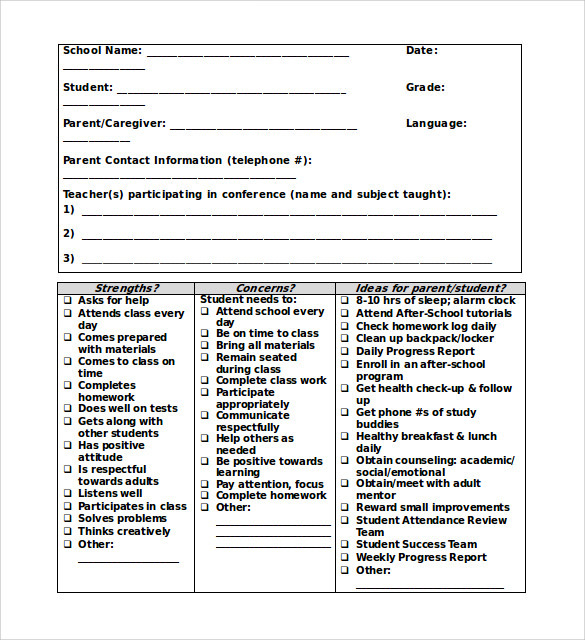 This template also comes into use among teachers of a school or institution. Such a template must mention name of different teachers participating in the conference. This template is also used by officers from defense forces who need to discuss various war strategies. It is also used by employees of a company for discussing ways to organize a party effectively. This template also comes very useful to doctors of a reputed hospital who need to discuss about a major surgery that is to be done together. 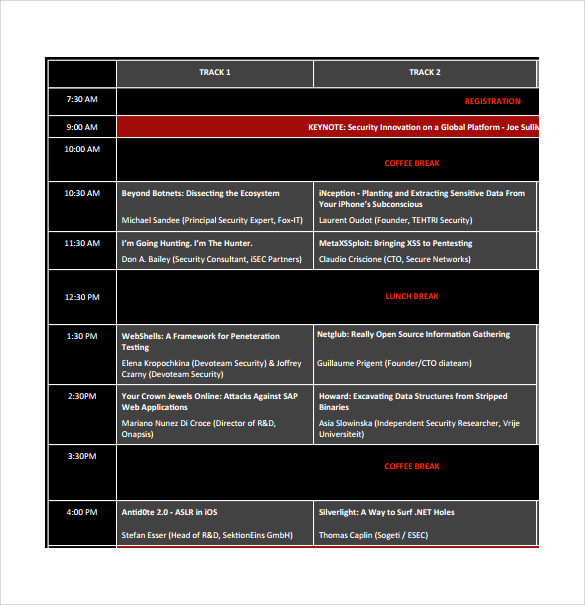 Conference schedule templates are usually made on a white background. Black legible fonts are used to give it a professional look. They are used by engineers, doctors, members of administrative authorities of an academic institution. Mostly, the information regarding the conference is presented in tabular format. It also mentions the time duration for discussing each topic in the conference. You can also see Hourly Schedule Templates.